 [vc_row][vc_column][vc_column_text]RICHARD WATZKE Magazine is devoted to who love architecture & art. You can easily download PDF version of Magazine by tap or click on picture. It will open complete Magazine online and you can easily use your system to download it for free. [/vc_column_text][vc_separator type=“large“ style=“normal“ align=“center“ margin_top=“5″ margin_bottom=“25″][/vc_column][vc_column width=“1/3″][vc_raw_js]JTNDaDIlM0VJJTIwV0FOVCUyMFRIRSUyME1BR0FaSU5FJTIwJTI4RU4lMjklM0MlMkZoMiUzRSUwQSUzQ3NjcmlwdCUyMHNyYyUzRCUyMmh0dHBzJTNBJTJGJTJGYXBwLnNtYXJ0ZW1haWxpbmcuY3olMkZqcyUyRmpxdWVyeS0xLjguMy1jb25kaXRpb25hbC5qcyUyMiUzRSUzQyUyRnNjcmlwdCUzRSUwQSUzQ3NjcmlwdCUyMHNyYyUzRCUyMmh0dHBzJTNBJTJGJTJGYXBwLnNtYXJ0ZW1haWxpbmcuY3olMkYlMkZwdWJsaWMlMkZ3ZWItZm9ybXMlMkZzdWJzY3JpYmUlMkY0NTMyLXY4bTg2dmhpcTV5MWcydGU0djdjaTRreGJ3amF5NGJjbThrb3NjYndpc3JwOHk0eGdyb3Q0ZGF3NHJ1eG5rdnBtamNia25jd3ZybnF4MTVmN3R3M3RyanhncjYzc2Y4azYxbjUlMjIlMjBpZCUzRCUyMnNlLXdlYmZvcm1TY3JpcHRMb2FkZXItdjhtODZ2aGlxNXkxZzJ0ZTR2N2NpNGt4YndqYXk0YmNtOGtvc2Nid2lzcnA4eTR4Z3JvdDRkYXc0cnV4bmt2cG1qY2JrbmN3dnJucXgxNWY3dHczdHJqeGdyNjNzZjhrNjFuNSUyMiUzRSUzQyUyRnNjcmlwdCUzRQ==[/vc_raw_js][vc_column_text]Click on this button and you will get the actual version of Magazine to your e-mailbox after release.